Buying and selling scrap metal is helpful for the economy. Recycling your metal is great for your business as well as the environment. One of the most important metals to recycle is tungsten carbide scrap. Tungsten carbide is considered the toughest and most durable metal that is created by man. 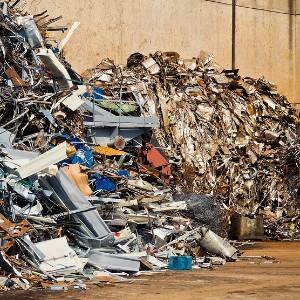 Fortunately, there is a lot of tungsten scrap metal in a variety of manufacturing and engineering industries to be recycled. At Alnor Industries, recycling tungsten carbide scrap metal is one of our top priorities for our environment! Where Can You Find Tungsten Carbide? Tungsten carbide is found in many every day products like light bulbs (filaments), ballpoint pens, and razor blades. Additionally, in the manufacturing and engineering industry you can find tungsten carbide inserts in drilling and cutting equipment. Due to its popularity, tungsten carbide is easy to recycle and always in high demand. Therefore, selling a collection of tungsten carbide scrap can leave you with a good amount of money. Carbide is not easily produced or found in every country, which why it is important to recycle and reproduce. Many industries use recycled tungsten carbide products since it does not lose its quality when it undergoes the recycling process. This means that tungsten scrap provides great business opportunities to many businesses and industries. The tough and durable qualities of tungsten survive even after being recycled. For example, many of the sharpest knives on the market today are made from tungsten carbide scrap metals. Many experts believe that recycled tungsten carbide is stronger than most metals in the metal fabrication industry. At Alnor Industries, we are the industry leaders in recycling scrap metal and other products in the GTA. We have extensive knowledge on recycling tungsten carbide scrap metals and reclaiming a cash value for it. With decades of experience, we can guarantee an exceptional customer experience for all of our valued clients. Call or email us to learn more about the services we offer.